I became an iPhone owner just a few weeks ago, after years of disgruntled Android usage. I’m almost embarrassed to admit that one of the key deciding factors in the switch over was the bevy of peripheral “toys” that can be added to an iPhone, including impressive case options. I have always had my heart set on a wood case; there is just something to be said about natural wood juxtaposed against glass and metal. I was recently presented with the opportunity to review a case from Keyway Designs, and was sent the Safari Hybrid case for my iPhone 5S. 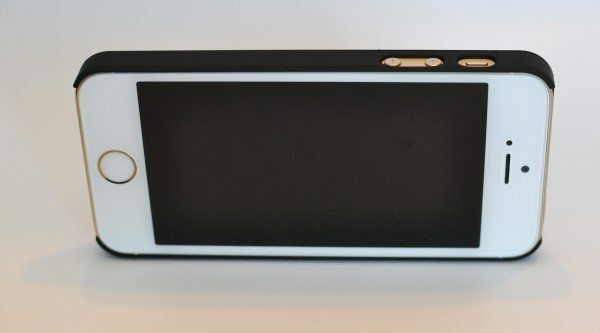 The most prominent feature of the case itself is that zebra design strip. That is actually an engraved Maple inlay; the surrounding wood is Purpleheart. To a tactile person like myself, the inlay being engraved is great for something to play with while on the phone. I hadn’t actually heard of Purpleheart, so I had to look that one up. It’s from a tree named for its purple-hued wood color and is naturally extremely dense and water resistant. 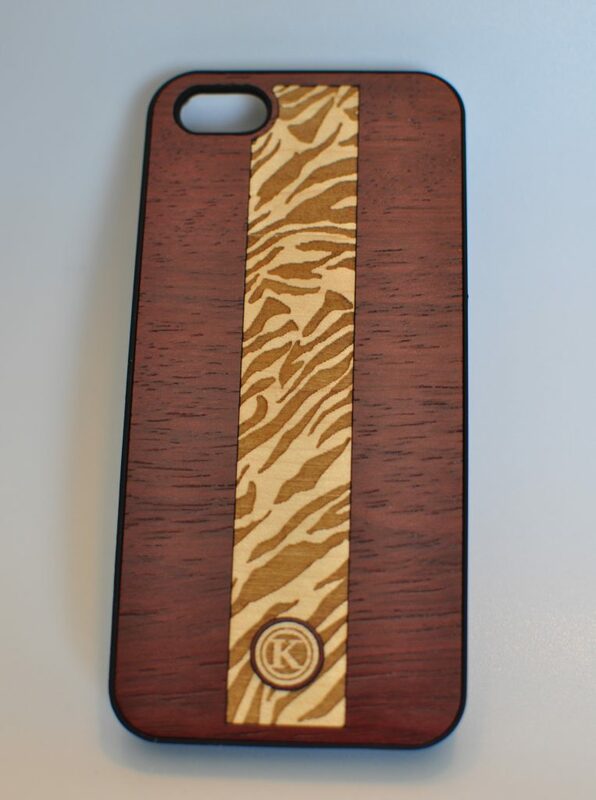 Sounds perfect for protecting an iPhone! Despite this wood’s hearty nature, the Keyway site makes absolutely no claims about the cases being water proof or resistant; they flat out state immersing them in water will ruin the case. The reverse side is simply a rubberized polycarbonate shell. They offer two color choices for the shell, white and black. It’s low-profile and should probably protect the front glass if placed face down, but it doesn’t quite give me the warm fuzzies in practice. The sides of the case have that slightly resistant rubber feel to help with grip. The cutout for the camera is large enough to not impede with the flash or the lens of the camera itself. The cut outs for the volume/vibrate buttons are just large enough for the buttons themselves. They could stand to be a little larger as it’s now difficult for me to use all three by just touch. I now have to carefully use a pointed fingertip or fingernail to access them. The bottom leaves a great deal of room for the speakers, headphone jack, and lightning port. My picture is a little deceiving with regard to the headphone jack clearance; it’s taken at a funny angle. There is no overlap whatsoever, my straight and L-shaped plugs fit with no issues. All in all though, this is a gorgeous case that I would definitely recommend. The wood is unstained and minimally finished, letting the natural character and color of the wood speak for itself. While the design is nothing I would have thought I would want, it’s unique and stunning in-person. I’ve been in love with it from the moment I snapped my phone in. The only improvement I would want to see is for more protection to be given to the front of the case. 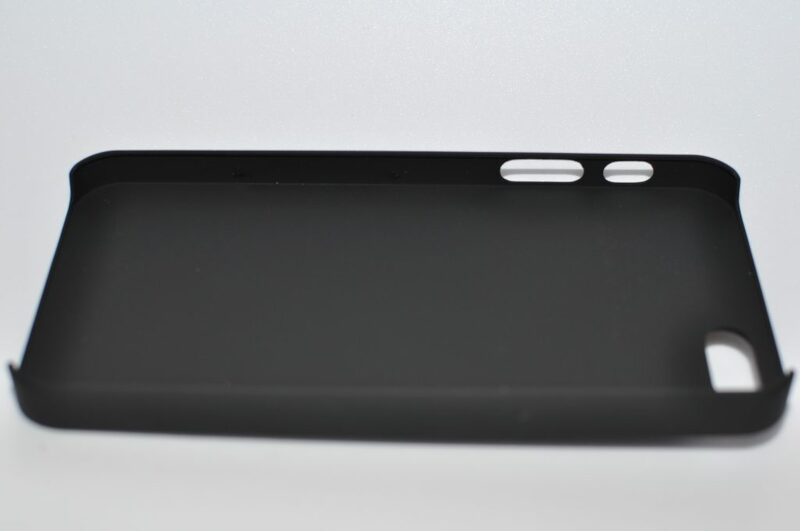 Right now, it’s a very low profile lip on the front which only slightly raises the screen. I reached out to Keyway and they responded that there are working on a redesign to their current line to provide more protection. 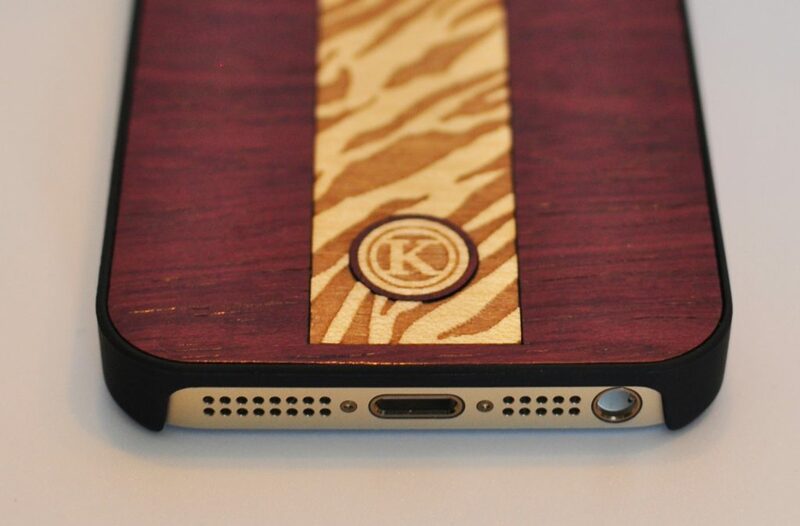 Additional “coming soon” features are custom engravings on select cases as well as future iPad/Mini case line. This is also quite the affordable line for what it is. 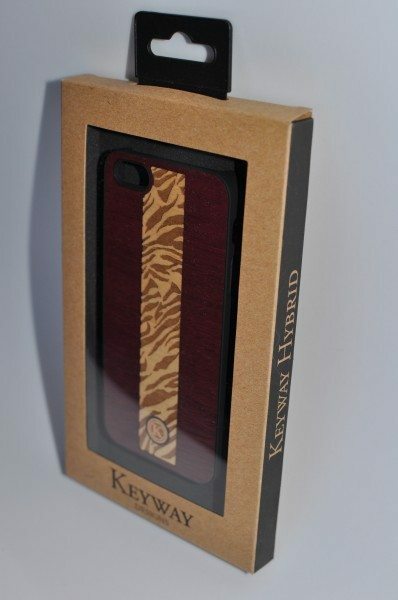 Keyway hybrid cases without the inlay start at $30. The Safari hybrid I was sent as well as most others with the inlay start at $35. These are top notch cases and I for one cannot wait to see what’s next in their pipeline! 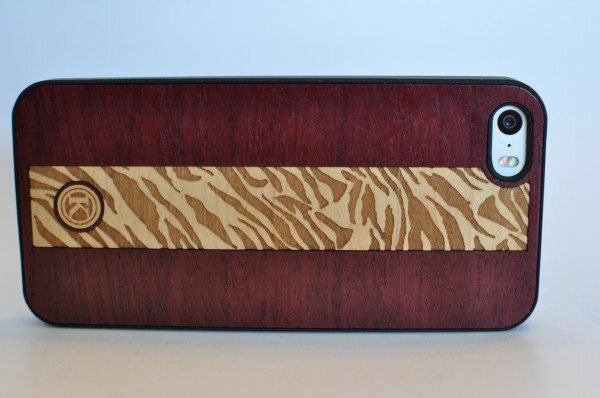 Keyway Designs Safari hybrid iPhone 5/5S case review originally appeared on The Gadgeteer on April 17, 2014 at 9:00 am.